At Kumu we are always excited to share our work with other organizations preparing leaders for the future. A notable example is Coro, a non-profit organization dedicated to developing leaders that are able to tackle wicked problems and dilemmas through ethical leadership. Our Director of Social Invention, Adam Elmaghraby, was invited to give a crash course on Strategic Foresight for Coro Fellows this winter. Our goal for the fellows was simple: to build scenarios that facilitate a leader’s ability to respond to our world’s rapid shifts in employment and civic governance. 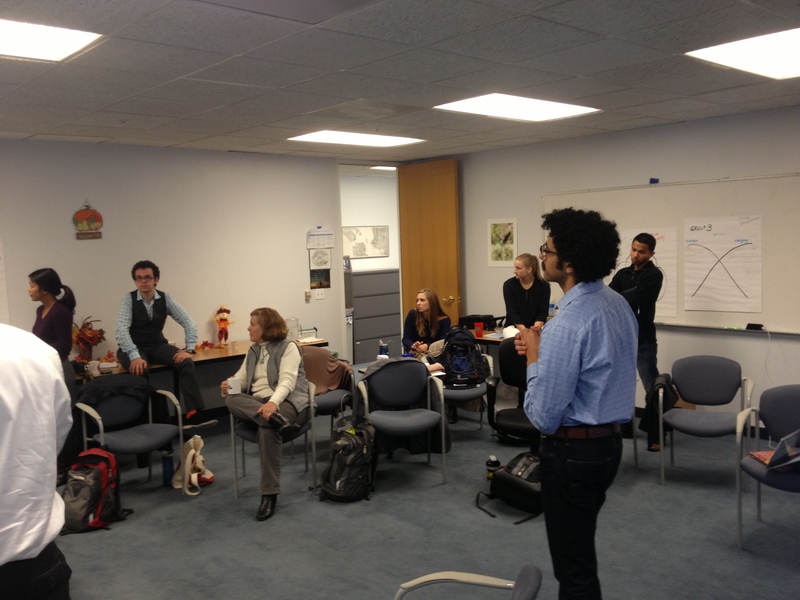 The Coro fellows were a bit skeptical at first, it is a daunting ask for half day workshop. However as soon as we set the foundational principles, their creativity and desire shined through. Manuel and I acted as guides to this leadership challenge. As participants dove in, it became obvious that the Coro Fellowship Program had prepared them well for a world filled with complexity. The Coro fellows left us with some insights that shine light on some future opportunities in space of work and civic innovation. Work is changing faster than before, and we need to create new models of connecting people with the right training and opportunities to develop livelihoods. The participants proposed platforms to create tighter feedback loops between employers and training programs focused on skills and organizational needs. Governance in America has been broken for too long, citizens want to be connected to the civic choices that impact the ecology of their communities. Governments need to tackle planning by building platforms/engagements that allow citizens to participate in the planning process directly. Ultimately, the work that the fellows created illustrates that we can create tangible ideas. We simply need space & imagination coupled with diligence and dedicated efforts to create the cultural transformation we need for people and planet to get the work of the ground.